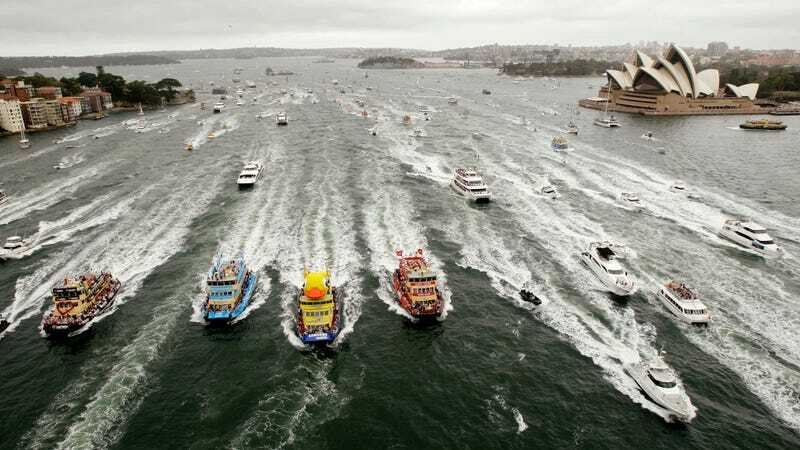 Australia’s most populous city is getting a new fleet of inner harbor ferries, one of which, due to an online naming poll, will be Ferry McFerryface. Why should we have expected any less? The internet’s commitment to the [thing]y Mc[thing]face construction has been steadfast so far, beginning in 2016 with a British research vessel dubbed—under similar polling circumstances—Boaty McBoatface. That was the name Australia’s new ferry would have also borne, based on vote totals alone. But as Minister for Transport and Infrastructure Andrew Constance—who probably had more important things to be doing—told ABC News Australia that “given Boaty was already taken by another vessel, we’ve gone with the next most popular name nominated by Sydneysiders,” which is apparently what people who live in Sydney call themselves. In fairness, “Chicagoans” sounds like your reporting a crime with a mouth full of pennies. Three other ferries in the fleet will bear the names of distinguished locals—an opthamologist, a heart surgeon, and an obstetrician—and their legacies will be honored by carrying up to 400 passengers through the inner harbor alongside Ferry McFerryface. It’s unclear if Sydney’s water transit allows animals, but the opportunity exists for Australia’s own Horsey McHorseface to climb aboard. Update: 8:26am ET: According to local radio show Sydney Live, the Maritime Union of Australia called the name Ferry McFerryface “stupid and disrespectful”and is refusing to man the ship until the name is changed. The union’s assistant secretary Paul Garrett said “It’s funny today and it’s gonna be funny tomorrow. But in 20 years when this vessel’s still operating it’s not gonna be funny, it’s just gonna be a sad reflection of 2017. It like these days when we laugh about the Macarena or Tamagotchis or something like that.” Both Garrett and host Ben Fordham agreed the naming convention was not as funny as it used to be.